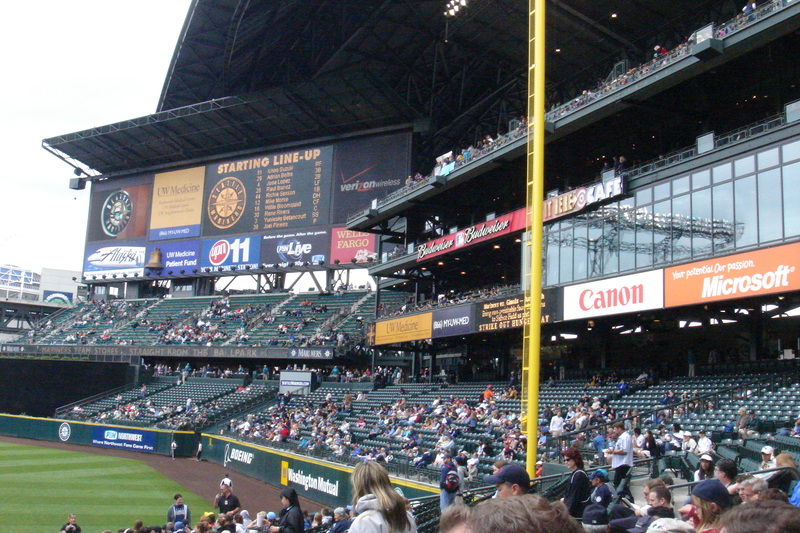 Had a chance to watch a baseball game in Seattle earlier this month when I was there. 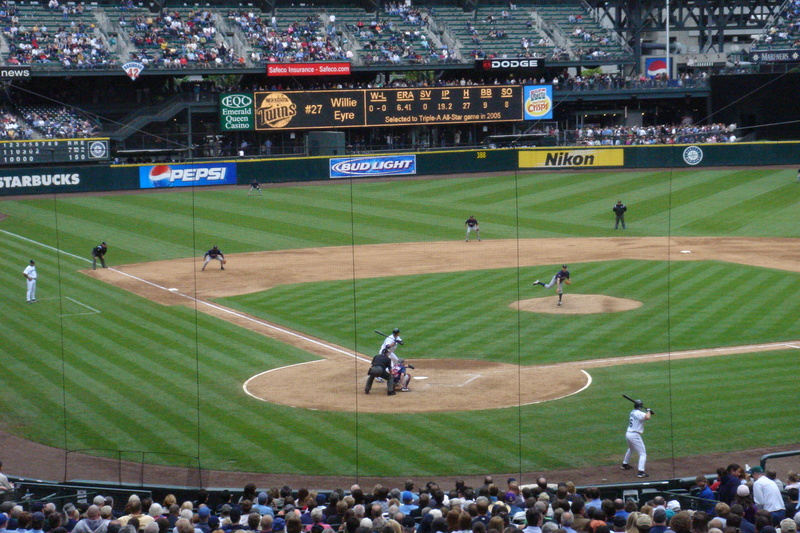 The game was between Seattle Mariners and the Twins (from another State in US, but can’t remember where now.) It was interesting to be there, but the game was kind of monotonous, unlike soccer where there are plenty of actions and anticipations. And when it comes to near the end of the game, when the score is uneven, everyone gets very excited (I mean for soccer.) But for baseball, it just ended when the number of rounds come to an end. If you are lucky, the last round may have some actions. Otherwise, it will be just another round. Then people get up from their seats and leave the stadium. That’s it. What’s really interesting to me when I observed the game in the field, is the way the players are positioned. Each player will take turn to take the lead role, be it pitcher or catcher. Then they will move on to a more “relaxed” role that is further and further from the center of attention (or action) – that’s where the ball gets throw and hit. But when the players are standing at a far corner of the field, they remain alert. They wait for “the trigger”. When the opponent managed to hit the ball towards their end, they dashed quickly, and responsed at lighting speed to catch the ball. That may be the only ball they catch, the only time the dash and run in the entire game. But they are always ready for that moment of action. Such is the kind of responsiveness that perhaps we need individual to have when dealing with Internet security. In most situation, when we surf the Net, things are moving along smoothly. There’s no hit, no attack of any kind. But when there’s a sudden hit from nowhere, we must be responsive. We need to “catch the ball” and prevent the home run. However, in most cases, we don’t even know that there is a hit, that someone is attacking. How can we response? How can we teach anyone to be ready and be able to response? Perhaps we need better indicators for the normal users, so that everyone can tell the different between a normal situation and an attack condition. Something to think about. By the way, the game ended with the visiting team Twins winning Seattle Mariners 7-2.